The Moment Photo Case is designed protect your Samsung Galaxy S9 and look good doing it. The case is constructed from a thin, rubberized plastic that's curved to the edges of the phone, keeping it slim and pocketable, but still protected from the scratches and damage that come from accidental drops. Moment even protects your phone on the inside of the case, lining it with microsuede sourced from Japan. 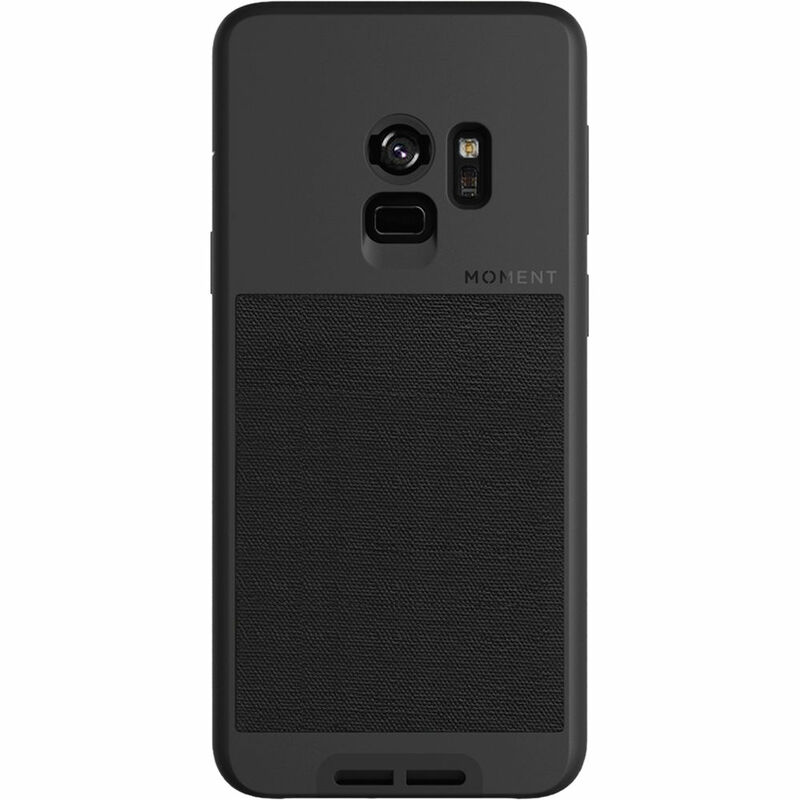 Additional features are built into the case to make it easier to use your Galaxy S9, and add additional functionality. The rubberized body combines with a black canvas backing, giving it dual textures, and giving you a better grip while one-handed shooting landscape and selfies. 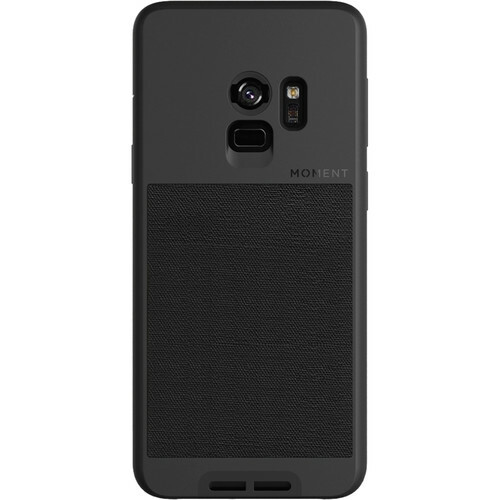 The black canvas backing features a polyurethane coating for increased durability. The case features a slot at the bottom for an optional wrist strap, so you can let go when you need both hands, without having to lay your phone down or fumble with putting it back in your purse or pocket. The Samsung Galaxy S9 already has an amazing camera and lens, but you can give it additional capabilities with optional add-on Moment lenses. These lenses attach with a simple 90-degree twist to the case's built-in interface. Box Dimensions (LxWxH) 7.35 x 3.85 x 0.75"
Photo Case for Samsung Galaxy S9 (Black Canvas) is rated 5.0 out of 5 by 1. Rated 5 out of 5 by Rex from Great case for an incredible lens system! I would highly recommend this for a novice-enthusiast photographer. This case and lens system is surprisingly incredible! I ordered it. Is it in progress?